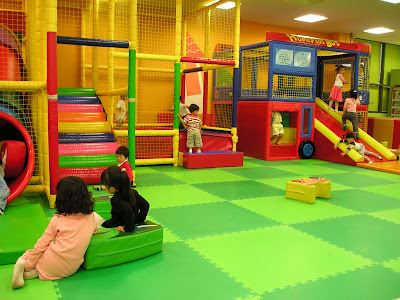 Sometimes after attending mass and I am not in the mood to cook, we just go out and eat some korean food at Home Plus so the kids can play at the play area with the Korean kids afterwards. 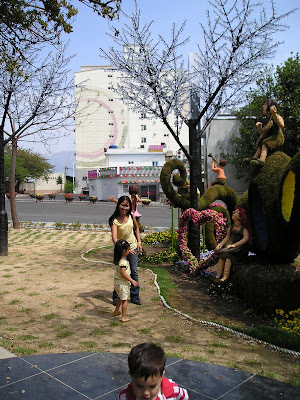 One Sunday, we decided to drop by at this mini park they built before heading home. I remember when we used to take for a walk to be familiarized with the place, this area is an abandoned place then but they developed it into a pretty mini park. Isn't it gorgeous? Did you know that the material they used to make those stuff are like dried grass, am not really sure what it was but it looked like grass. 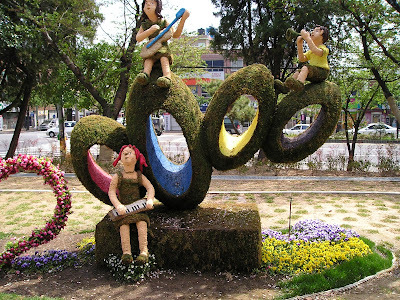 Korean's are very talented when it comes to gardening. Thanks again for visiting and commenting of course! kala ko kamu ito ni rye when i did not open yet the site..wahh...hehe..
>Hahaha natanso ka palan mads lol.. magayon talaga bako? 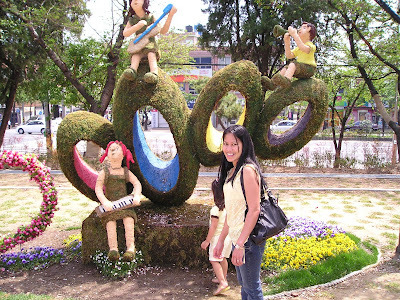 >Oo nga sis, di na nagrereklamo si hubby about family bonding lol.. except kung naguglue ako with blogging nagrereklamo pa din lol..
>Salamat Mer, magagaling kasi ang mga Korean with gardening and landscaping, kahit sa wall merong flowers lol..
A lovely post as usual, I always enjoy your pictures, they are always so nice to look at. Thank you for coming by and hope you have a nice week. ang ganda dito rose, at lagi yata kayong nag family bonding. Grabe talaga ang talento ng tao no. BTW, thanks for visiting my new blog kahit di mo naintindihan hehe. ano nalag rose i english ko nalang sa kabilang blog hehe. ganda talaga dyan sa korea anoh? dami nice views eh at talagang you are enjoying every minute of your every visit sa mga magagandang lugar, rose...here for a visit, too! Ang galing naman nila mag shape nung dried grass. 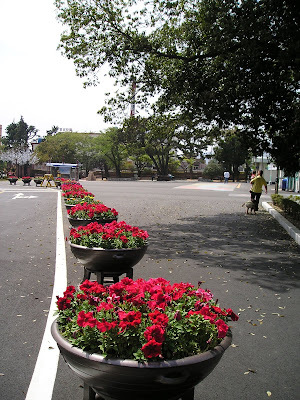 Tama lang yung pinangalan mo dahil lovely talaga ang park! wish there were such places here! I aggree, this is a beautiful park. You can enjoy a lot of fun family pic-nic over there. You always share nice pictures sa mga blogs mo bakla I love it. 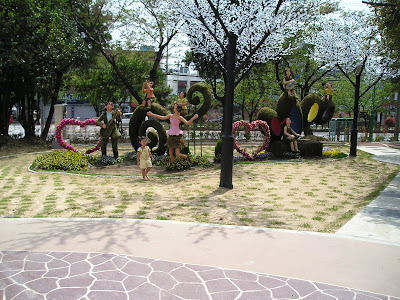 Napakalinis pa sa mini park buti hindi ginagalaw ng mga bata ang mga tanim diyan. Lovely post. 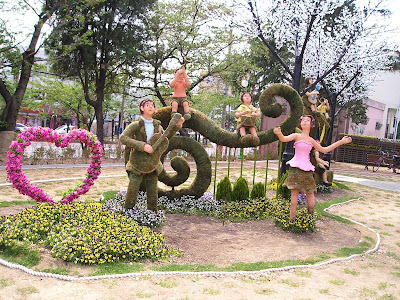 The park is very beautifully and nicely decorated. Oopss! 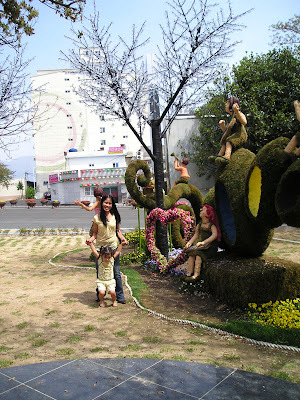 !Parang nabasa ko na yan sa ibang site mo^_^I love the beauty of the parks there in Korea!! nice pala ang korea sis. thanks for sharing the pics. ooh yeah those are gorgeous and very nice looking garden. By the way, thanks Manang Rose/Madam sis (~_~) for the comment hah.. andyan pala kayo ngayon sa Korea.. cool! what a beautiful place . they are so talented indeed. haven't seen like that place here.. wish mayron kaming ganoon..
very nice place endeed :P.. and it seems ng enjoy kau :P.. In our busy lifestyle, we tend to leave the beautiful things in life behind. I'm glad that I have make it here. dito ulit me sis..just wanna say..happy weekend..ingat and GOd bless. Ang ganda ng minib park & I love the land scaped garden.Napansin ko wala ng dahon yung ibang mga puno dyan feel na feel ko na ang Autumn dyan Rose.Nice bonding w/ your family. made of grass? ang galing ah, napaka creative nila. nice family bonding! 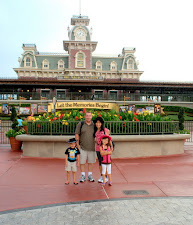 you have such a wonderful family!